Sorry for the absent posts--I've been on vacation! But now that the vacay is over, it's back to the kitchen! 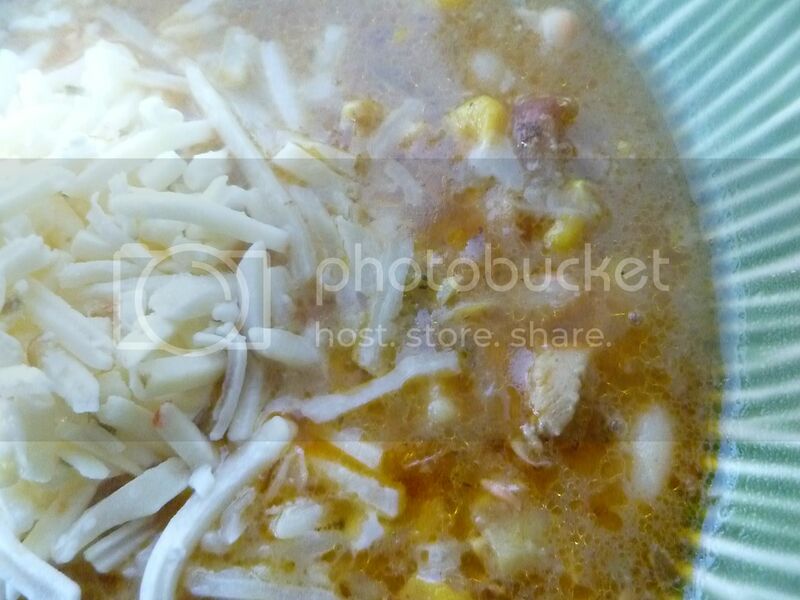 Because it's just going to get colder and colder, I decided to make some White Chicken Chili. Here is a resource for people who love cooking and want to look into cooking classes. I'm completely obsessed with the Dried Corn I made earlier this year, and the fact that I could add it to the chili completely sold me on the idea. Because the corn has been dehydrated, it will need to soak for a bit. 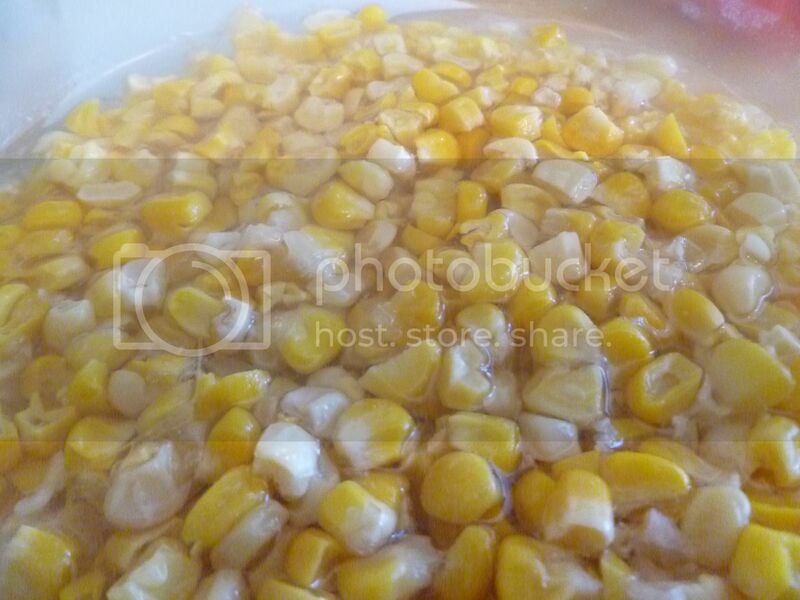 Pour double the amount of hot water over the top of the corn. Let it soak in the water for at least an hour, or until completely rehydrated. 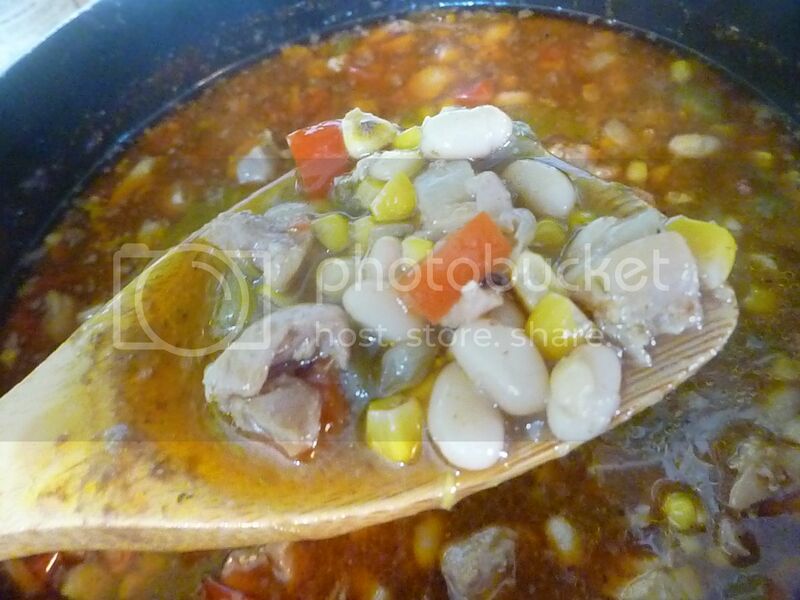 You can use fresh, frozen, or canned corn instead. 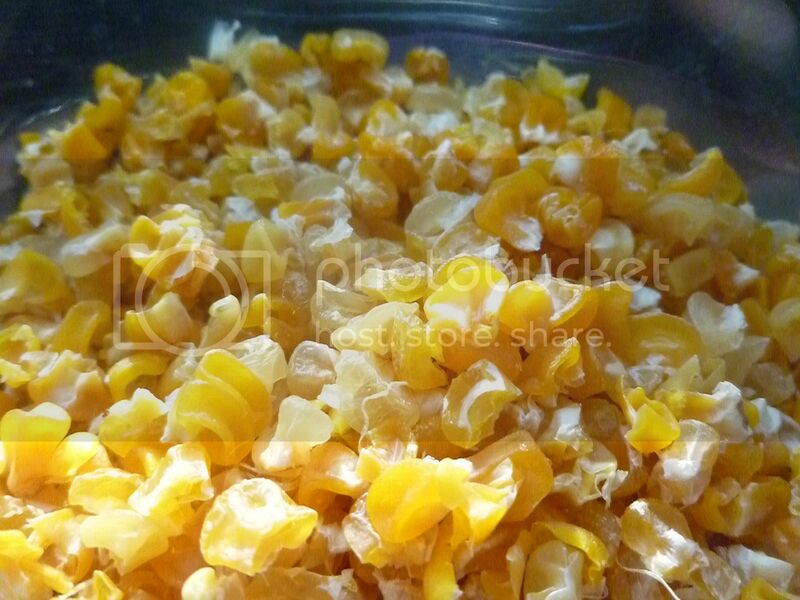 With the corn taken care of, you can bring out the rest of the ingredients. 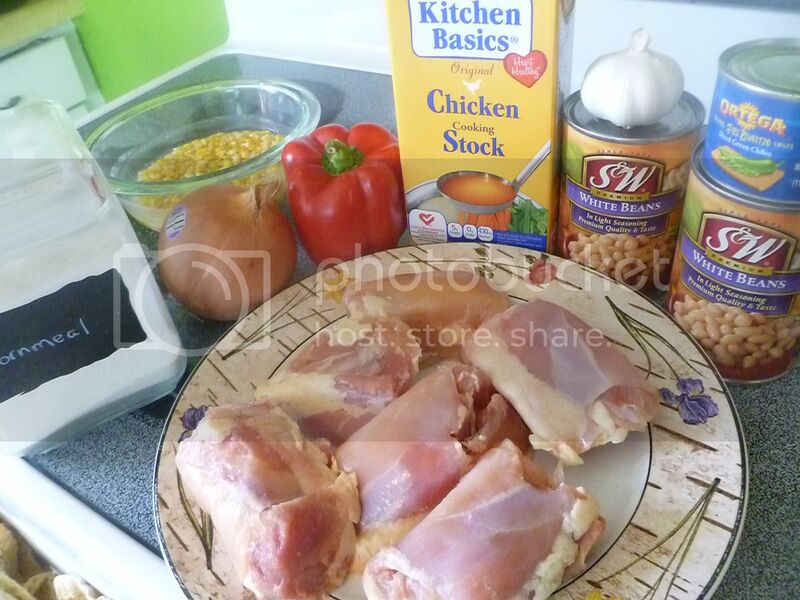 I used boneless chicken thighs. 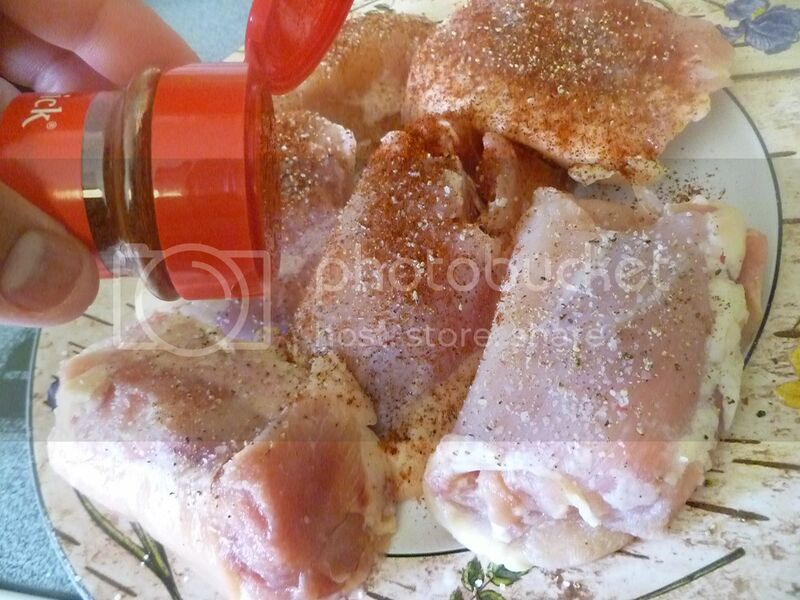 They got seasoned with cumin and salt and pepper. 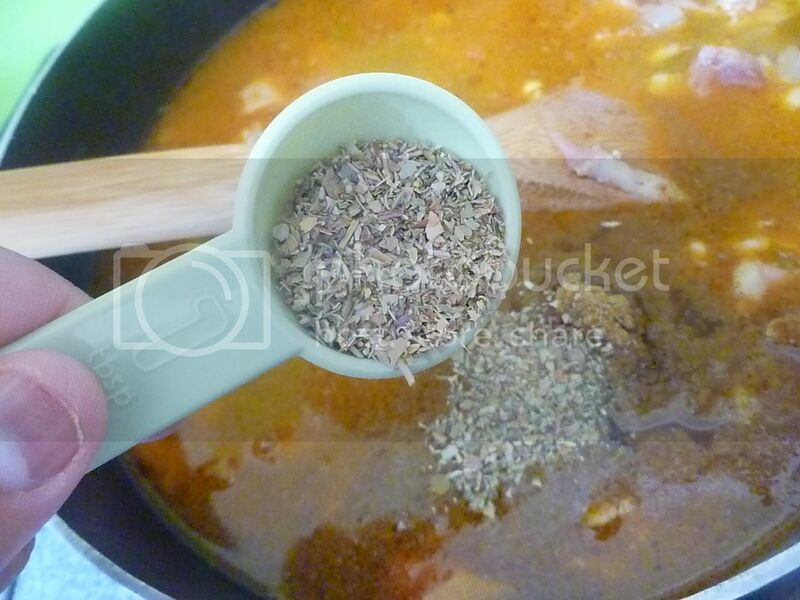 Let the spice flavor the meat while you dice half an onion. 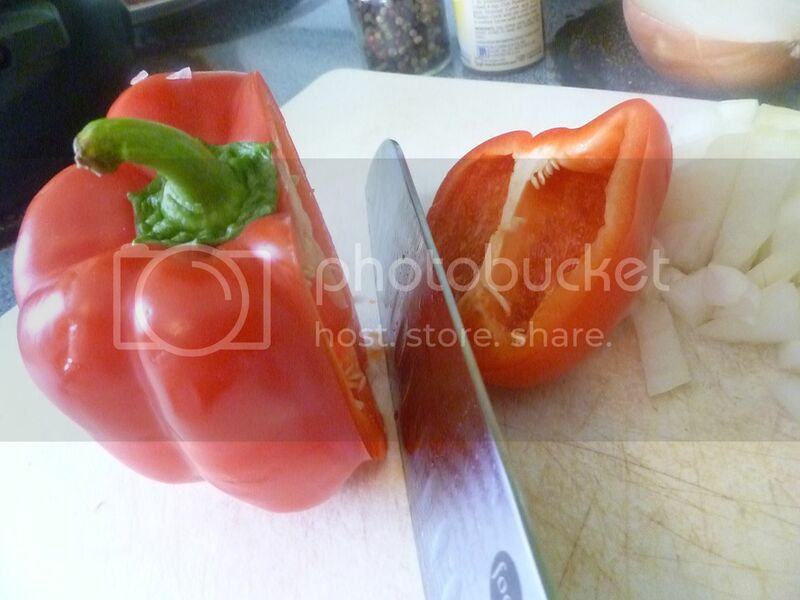 You'll need half a bell pepper, too. I like to cut around the pepper's stem. That way, I don't have pepper seeds going everywhere. 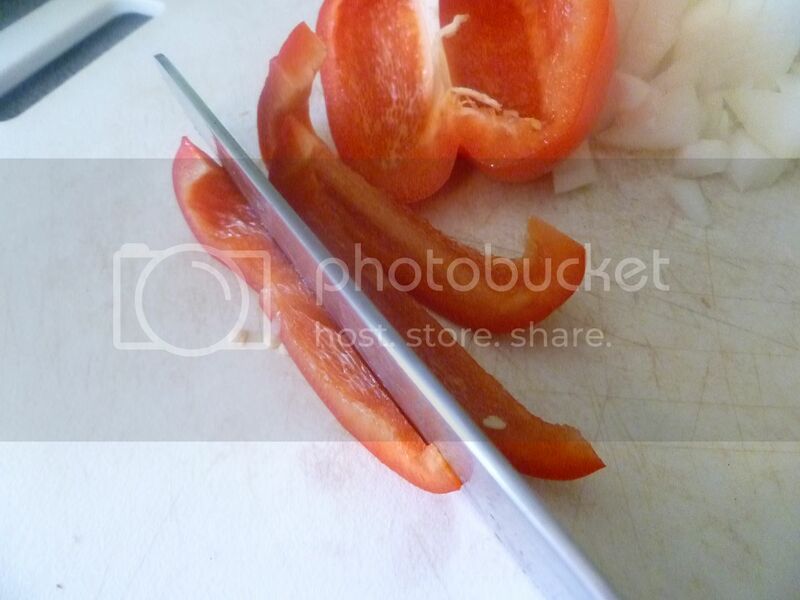 The pepper chunk can be cut into strips. Then you can dice the strips. Mince a couple cloves of garlic, too. Grab a big pot and heat some olive oil over medium-high. 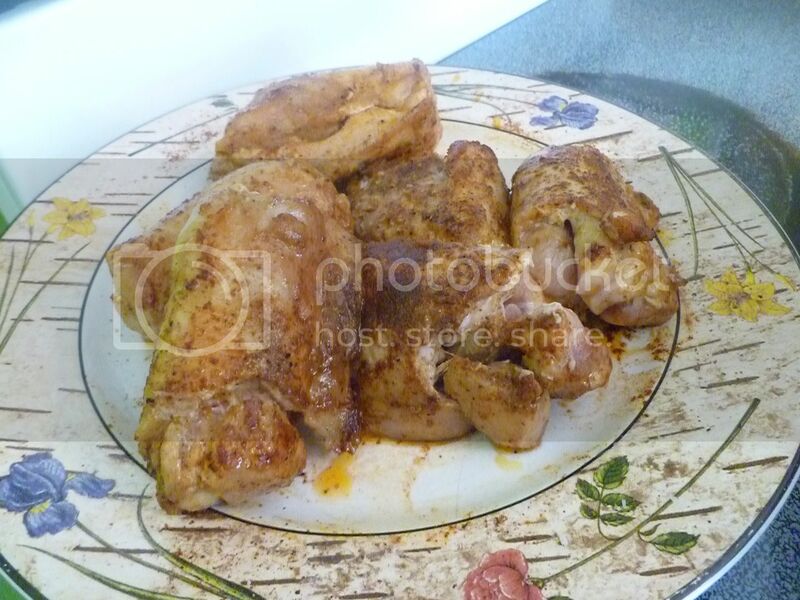 When the oil is hot, add the chicken. When one side is golden brown, flip it over. Don't worry about cooking it all the way through, this is just for flavor. 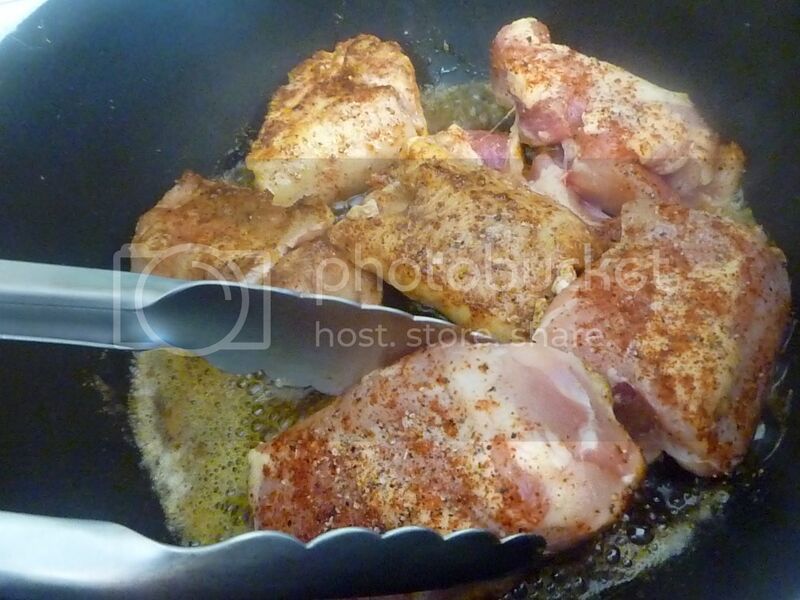 When both sides of the chicken are golden, take the chicken out of the pot and set it aside. 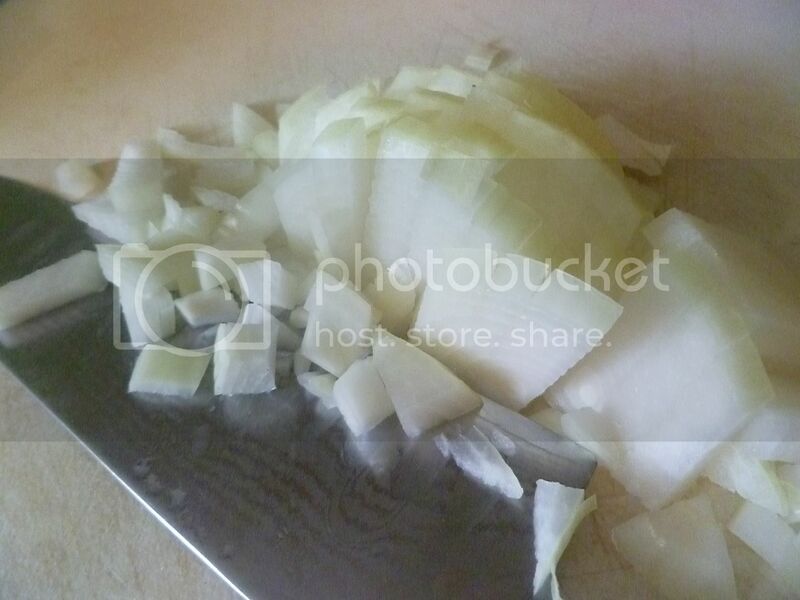 Now that the pot is empty, you can pour in the onion, pepper, and garlic. 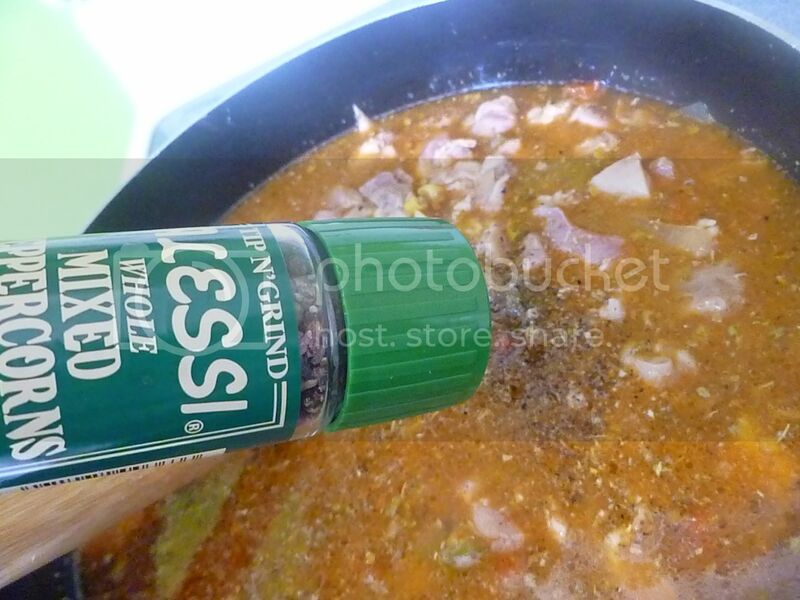 Add a can of diced fire-roasted jalapenos. 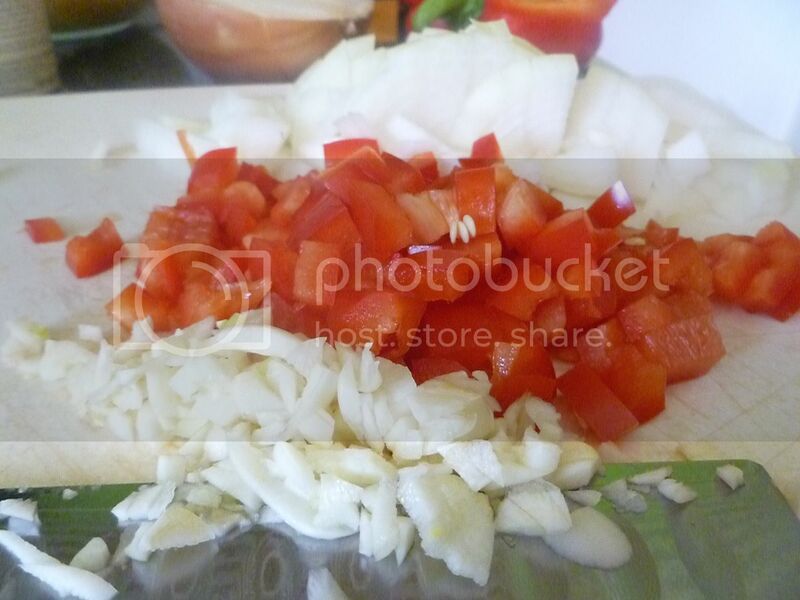 While the vegetables are sauteeing, chop up the chicken into bite-sized pieces. 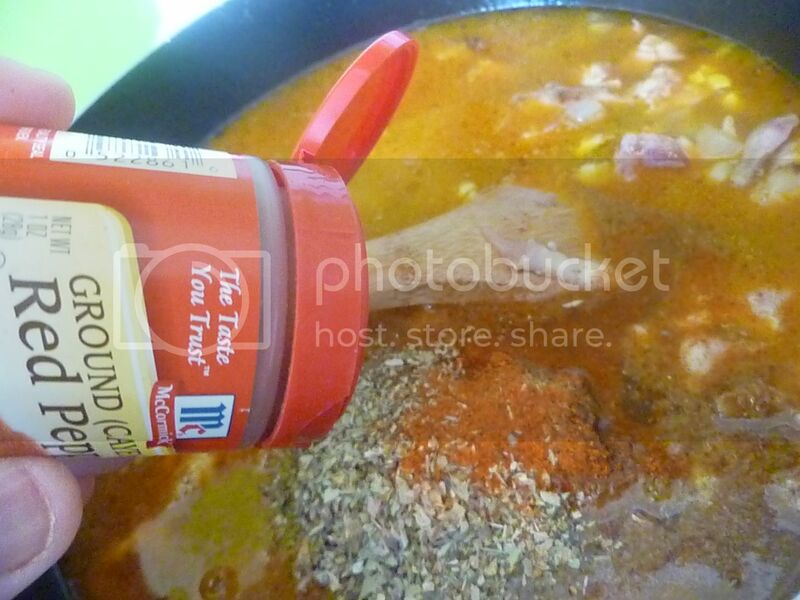 Then add it back into the pot. Add the corn, too, liquid and all. Unless you're using canned corn--then drain it. You don't need all that salty liquid going in. 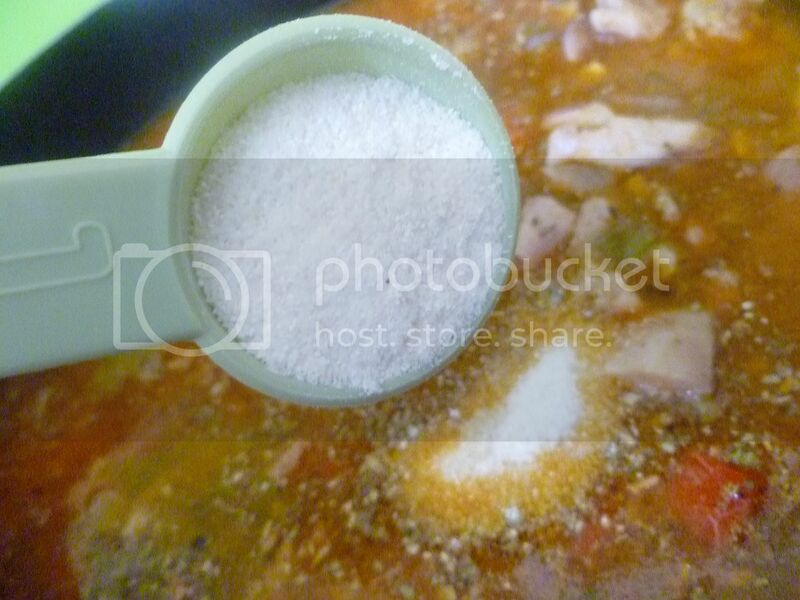 Pour in a box of chicken or vegetable broth. 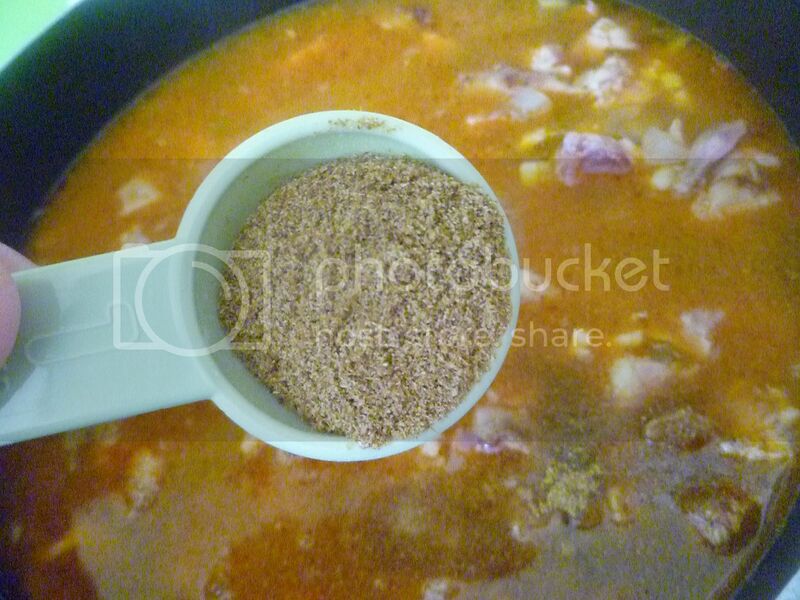 A tablespoon of cumin will flavor the chili even more. Cayenne pepper brings the heat. 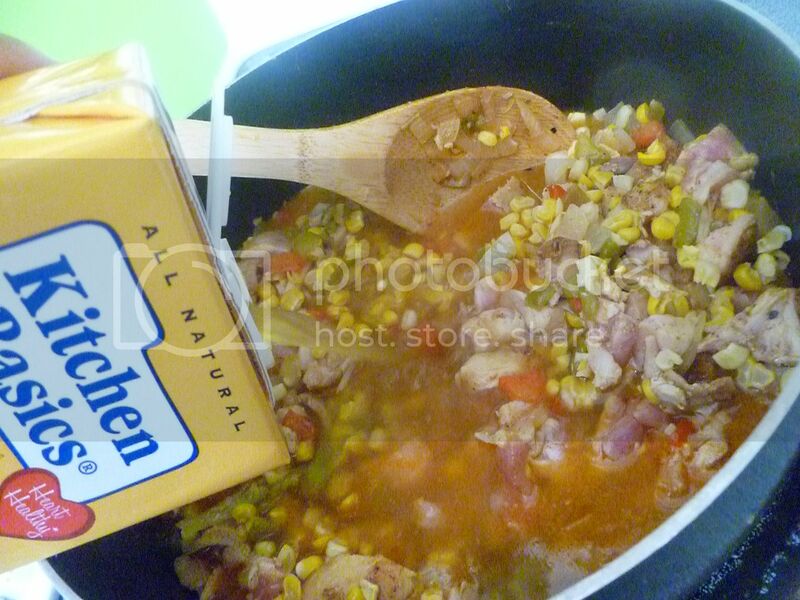 Cornmeal is a traditional addition to chili; it both flavors and thickens it. And, of course, you can't forget salt and pepper. Let your pot of chili simmer for at least 15 minutes. Finally, it's time for the beans. I used a can of white beans. Drain and rinse the beans well. 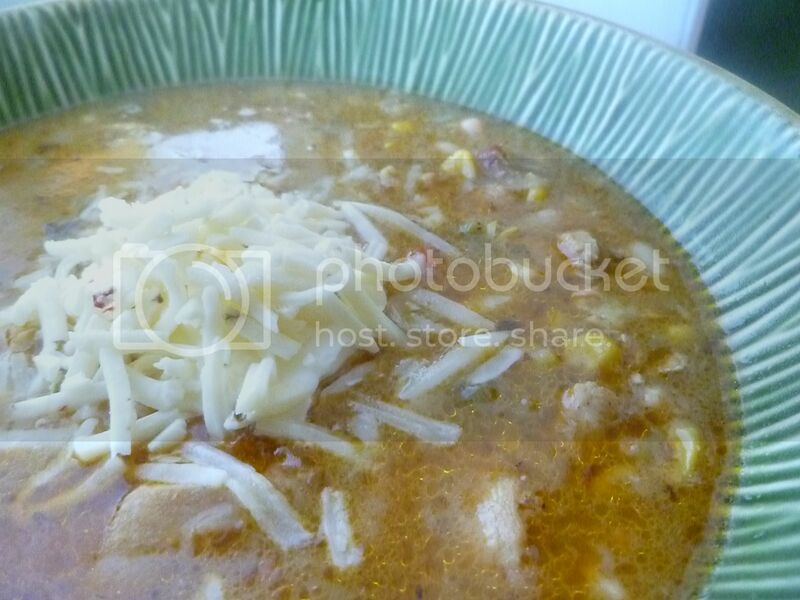 Half a cup or so of your favorite Mexican-ish cheese will perk up your chili. 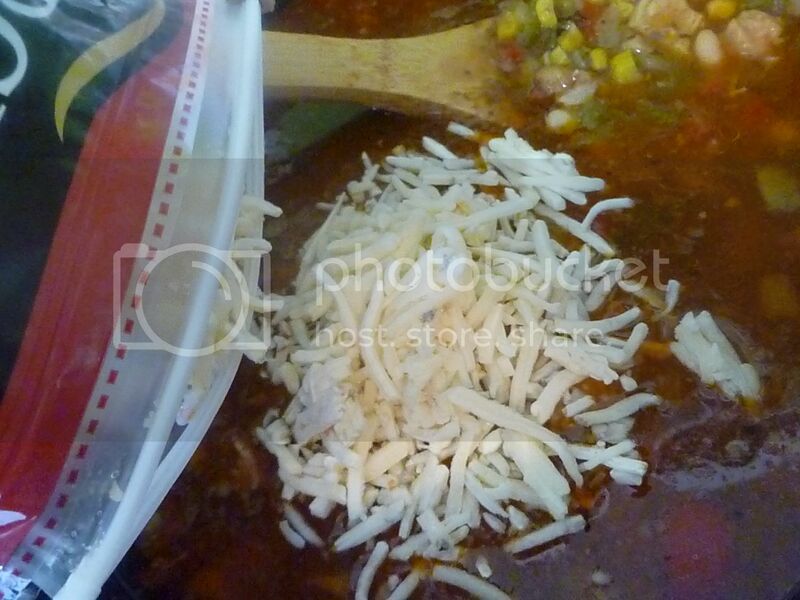 A little more cheese on top, and your chili is ready to eat! 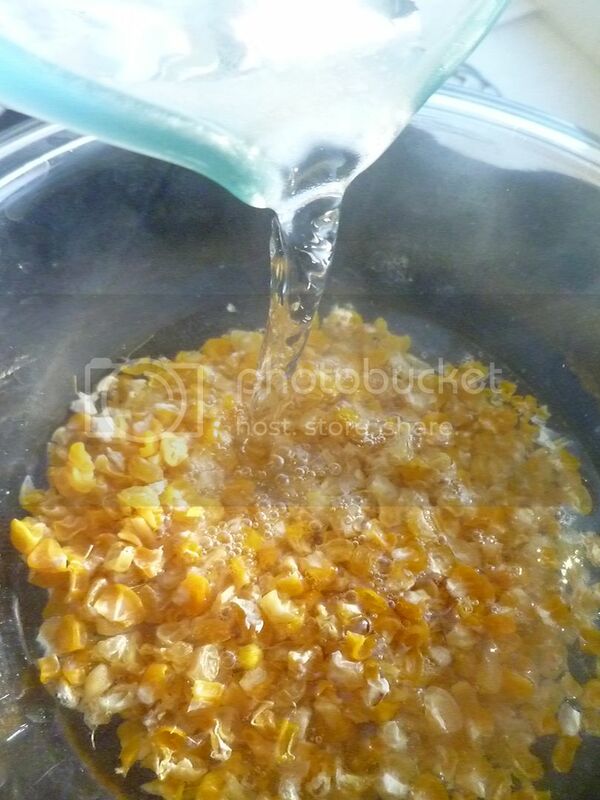 Rehydrate corn by pouring double the amount of hot water over the top. Let rehydrate for at least an hour. 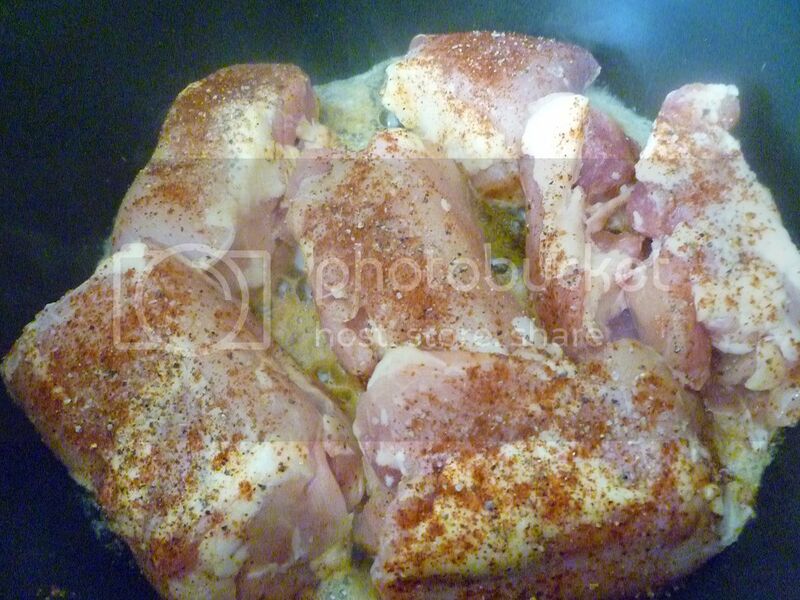 Season chicken with salt, pepper, and cumin. Sear both sides in olive oil over medium-high heat. Remove and set aside. 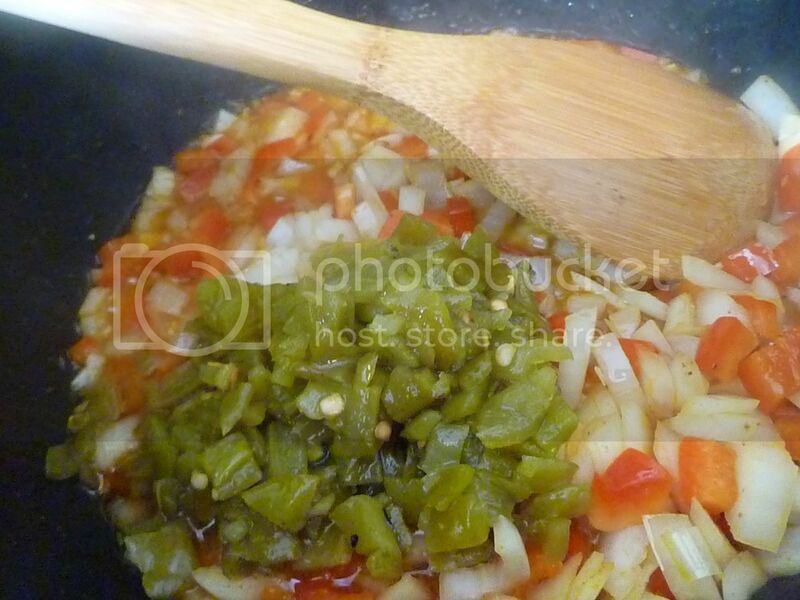 In the same pot, add onion, pepper, garlic, and jalapenos. 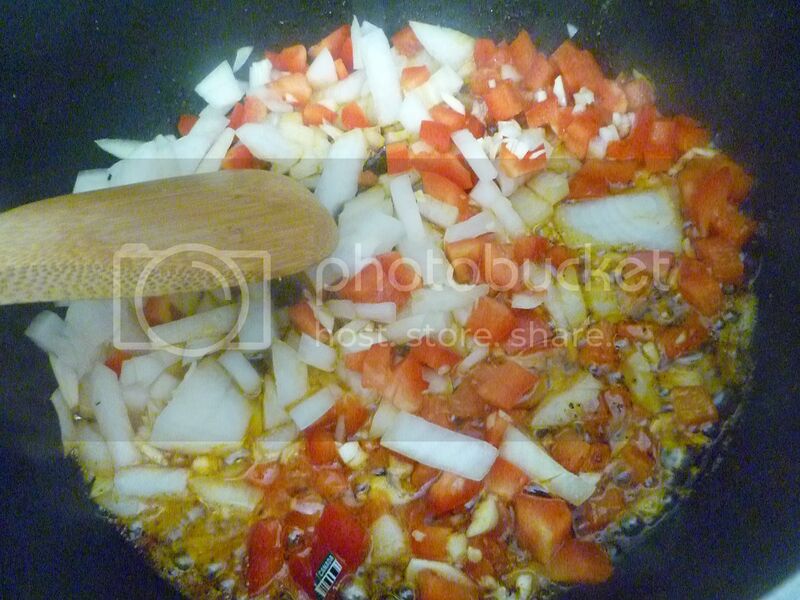 Saute until vegetables are softened. 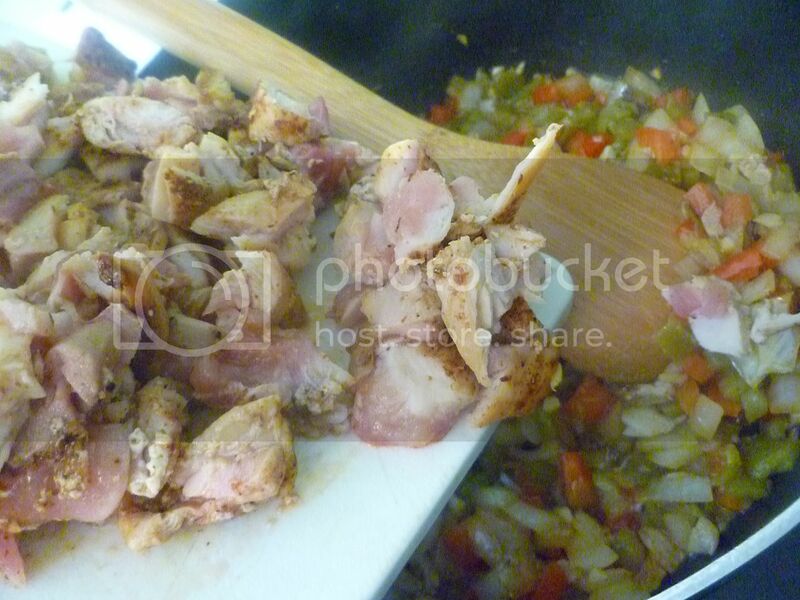 Dice chicken into bite-sized pieces and add back into pot with vegetables. Pour in chicken broth. Add cumin, oregano, Cayenne, and salt and pepper. 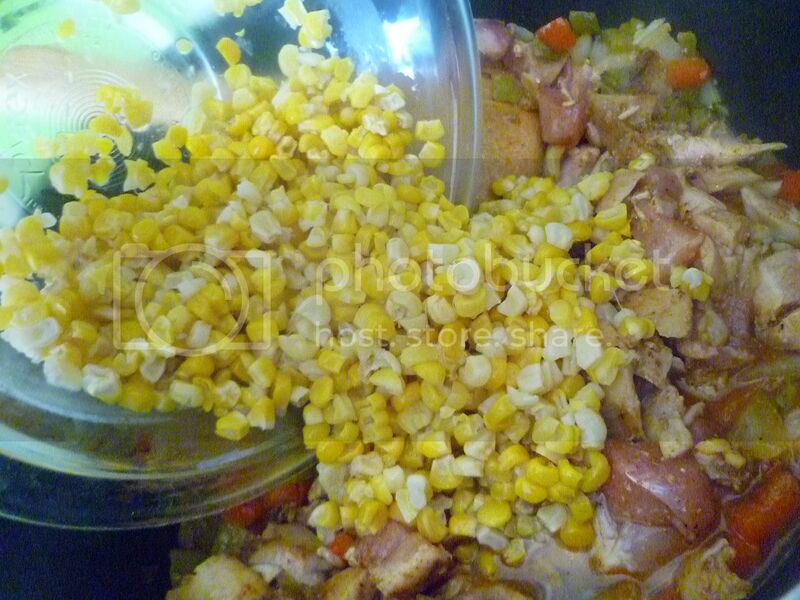 Stir in cornmeal; let simmer for 15-20 minutes. 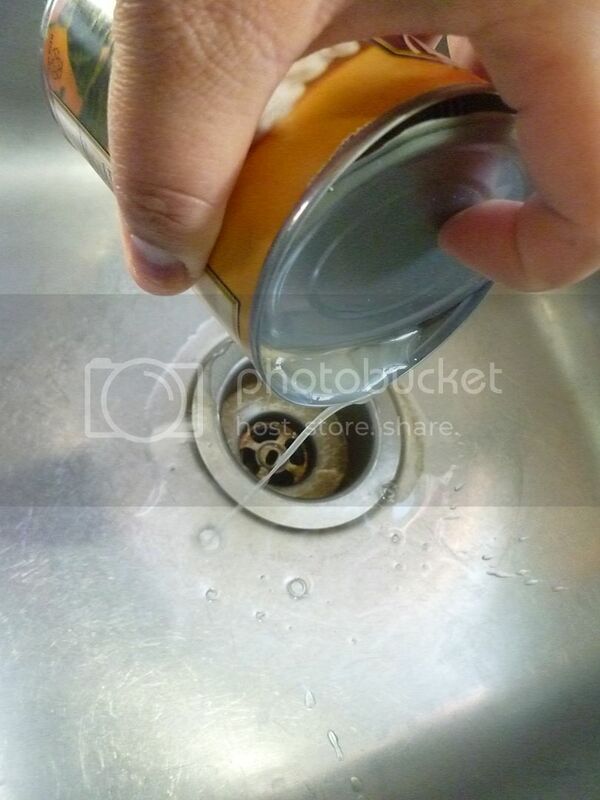 Drain and rinse beans; add to the pot. Add cheese; stir until combined. Serve when heated through.